The Phils start a four-game series with the Cubs. The Phils (9-10, 4th East), who had yesterday off, have just returned from Phoenix, Arizona, with a two-game winning streak and their first series win on the road, after having spilt their previous four-game series with the Padres. The Phils’ offense supported solid pitching performances from Vance Worley (2-1, 2.16) and Cole Hamels (3-1, 2.73), who, between them, gave up only three runs in fourteen innings pitched, by erupting for fifteen runs in eighteen innings, after having scored five runs in their last at-bats during their Monday night lost. The Phils will be facing the Cubs (6-13, 6th Central), one of the prersently bad clubs in the National League, who are coming off a lost against the Cardinals on Wednesday, after having won the previous two games. The game will be played at Citizens Bank Park, and is to start at 7:05 pm EDT. The Phils will be sending to the mound their ace Roy Halladay (3-1, 1.50), who is coming off a tough lost against the Padres on April 21, as he threw seven innings, giving up two runs on five hits and a very high (for him) four walks, while striking out five, in the Phils’ 5-1 lost. Career-wise, Halladay have had very little success against the Cubs, as he has a record of 1-4 with a 3.72 ERA, as he had struck out 23 Cubbies. He will be out for his fourth win of the season, trying to continue the Phils’ present winning streak while also trying to improve his personal record against the Cubs. The Cubs will counter with Paul Maholm (1-2, 8.36), who is coming off a victory against the Reds on April 21, as he pitched six innings, giving up a run on four hits and three walks, while he struck out five, in the Cubs’ 6-1 win. Against the Phils, Maholm has a career record of 3-2 with an ERA of 4.50 in seven starts, as he struck out 27 Phils. He will be out to build on his previous win, while trying to give the Cubs the series’ opener win. The Phils will be trying to once again even their record, while trying to see if they can end the month of April on a more positive note. Roy Halladay has been announced as the starter for the National League All-Stars. Giants manager, Bruce Bochy, had announced that he will send Roy Halladay to the mound as the National League’s starting pitcher to be the first pitcher to face the American League’s best for tomorrow night’s All-Star Game in Phoenix, Arizona. Roy Halladay, last year’s Cy Young Award Winner, is among the NL leaders in several pitching categories, including wins (11), ERA (2.45), starts (19), Strikeouts (138), WHIP (1.02), Innings Pitched (143.1), Complete Games (6) and K:BB (8.12). Placido Polanco and the Three Aces (Roy Halladay, Cliff Lee and Cole Hamels) will represent the Phils at the All-Star Game. On Sunday, the National League announced that Placido Polanco was elected as the starting third baseman for the NL All-Star team with 4,410,701 votes, beating out Chipper Jones, who will also join the team as a reserve player. Meanwhile, NL players voted Roy Halladay, Cliff Lee and Cole Hamels onto the team among the pitchers, with Halladay (11-3, 2.44) finishing first with 332 votes, followed by Hamels (9-4, 2.41) who ended up third with 177, and Lee (9-6, 2.92) taking fifth place with 141 votes. It is very likely that Halladay will be the starting pitcher for the NL All-Stars. The 82nd Baseball All-Star Game will be played at Chase Field in Phoenix, Arizona on July 12. Placido Polanco continue to lead NL third basemen on the All-Star ballot. The National League yeasterday announced an update on who are leading in the position races on the All-Star ballot. Placido Polanco is still the only Phil leading at his position, as he leads all NL third basemen with 1,822,129 votes, leading by a wide margin over Braves’ third baseman Chipper Jones. No other Phil is even in second place in the voting for their respective positions. Chase Utley and Jimmy Rollins are both in third in the voting among second basemen and shortstops, while Ryan Howard is fourth among first basemen. Carlos Ruiz is fifth among NL catchers, while Shane Victorino is seventh and Raul Ibanez is 11th among outfielders. If Polanco can hold onto his present lead, he will probably end up being the only Phil starter to be elected to the All-Star Game, which will be played at Chase Field in Phoenix, Arizona in July. He will likely be joined by Roy Halladay and Cole Hamels, who are both having great first halfs, especially Cole, and maybe Ryan Madson, based upon how well he is presently handling the role as the Phils’ closer. Jamie Moyer records his 260th career victory as the bullpen preserves the win as the Phils defeat the Braves, 8-3. The Phils leave Atlanta with a series win as the bullpen this time preserves the victory as the Phils down the Braves, 8-3. The victory was the 260th in Jamie Moyer’s career, putting him in a tie for 40th place on the all-time list with Hall of Famer Ted Lyons. The Phils took a quick 1-0 lead in the first as, with runners on the corners, and with one man out, Ryan Howard hits an RBI single, scoring Greg Dobbs, who had earlier singled, and had gone on to third on Chase Utley’s single, while sending Utley, who had earlier singled, on to third base. The Phils made it a 2-0 lead as, once again with runners on the corners, and still with one man out, Jayson Werth hit a sacrifice fly to center, knocking in Utley. The Phils would increase their lead in the third as, with the bases loaded, via a double to Dobbs, a walk to Utley and a walk to Werth, moving both Dobbs and Utley up a base, and with one man out, Raul Ibanez hits into a force attempt, scoring Dobbs, making it 3-0 Phils, as Martin Prado made a throwing error to second base, allowing Utley to score, giving the Phils a 4-0 lead, while Werth went to third on the error, while Ibanez was safe at first. 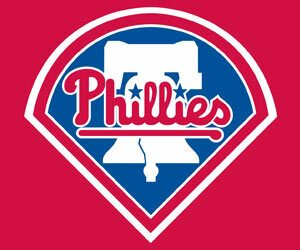 The Phils made it 5-0 as Juan Castro follows with an RBI single, scoring Werth, while moving Ibanez up to second base. As the Phils were taking a commanding lead, their starter, Jamie Moyer, was keeping the Braves off-balance through the first four innings, giving up just two hits, as well as hitting a batter, while striking out two, and getting a lot of ground ball outs. The Braves would finally get on the scoreboard in the fifth as, with two men on, and with one man out, Matt Diaz hits a grounder to Castro, who then threw the ball to Utley for a force attempt at second. Utley misplayed the ball for an error, allowing Melky Cabrera, who had earlier walked, and had gone to second base on Omar Infante’s walk, to score, making it a 5-1 Phils’ lead, while Infante was safe on second base, while Diaz reached first. One batter latter, Prado hits another grounder to Castro, who this time threw out Diaz at second for the inning’s second out, but Utley then made an errant throw to first trying to double up Prado, allowing Infante to score, making it a 5-2 Phils’ lead. The Phils got one of the runs back in the sixth as, with the bases loaded, via singles to Castro and Carlos Ruiz, which sent Castro to second base, and a walk to Moyer, which moved both Castro and Ruiz up a base, Shane Victorino hits a sacrifice fly, scoring Castro, and giving the Phils a 6-2 lead. The Phils then added to their lead in the seventh as, with two men on, and with two men out, pinch hitter Ross Gload hits an RBI single, scoring Ibanez, who had earlier walked, and had moved up to second on Castro’s single, giving the Phils a 7-2 lead, while sending Castro on to third base. One batter later, the Phils made it an 8-2 lead as Victorino hits an RBI single, scoring Castro, while sending Gload on to second base. The Braves then made it 8-3 Phils’ lead in their half of the seventh as, with the bases loaded, via a double to Nate McLouth, a single to Prado, which sent McLouth over to third base, and a walk to Chipper Jones, and with one man out, Brian McCann hits a sacrifice fly, scoring McLouth. That would be the final score as David Herndon would come in and pitch a scoreless ninth. Jamie Moyer gets the win, the 260th of his career, as he pitches six innings, giving up two unearned runs, on four hits, two walks and a hit batter, while he strikes out four. His record is now 2-1 with a 5.00 ERA. Chad Durbin pitches an inning, giving up a run on two hits and a walk, while striking out two. Danys Baez and David Herndon combined for two scoreless innings, giving up just three hits (Herndon). Derek Lowe took the lost as he pitches five innings, giving up five runs, only four of which were earned, on six hits and two walks, while striking out three. His record is now 3-1 with a 5.24 ERA. Kris Medlen pitches a third of an inning, giving up a run on two hits and a walk. Eric O’Flaherty pitches two-thirds of an inning, giving up just a walk, while striking out a batter. Peter Moylan pitches an inning, giving up two runs on three hits and a walk, while striking out two. Jesse Chavez pitches a scoreless inning, giving up only one hit, while striking out two. The Phils’ bats had twelve hits in the game, with Juan Castro leading the team with three hits, as he collected three singles, knocking in a run, while scoring two. Greg Dobbs and Carlos Ruiz follows by getting two hits each, with Dobbs’ hits being a single and a double, as he scores two runs, while both of Ruiz’s hits were singles. Shane Victorino, Chase Utley, Ryan Howard, Raul Ibanez and pinch hitter Ross Gload had the other five Phils’ hits, all singles. Victorino knocked in two runs, one by a sac fly, Howard knocked in one, Ibanez brought home a run, and Gload scored a run with a pinch single. Jayson Werth knocked in the other Phil RBI with a sacrifice fly, while their final run came in on a throwing error. The Phils (10-3, 1st East) continue their nine-game road trip by going to Phoenix to meet the D-backs (6-9, 5th West) for a three-game series. The game will be played at Chase Field and will start at 9:40 pm Eastern time (6:40 pm Mountain) . The Phils will send to the mound Coel Hamels (2-1, 3.86) who is coming off a lost against the Marlins on April 18, as he went eight plus strong innings, giving up only two earned runs on seven hits, while striking out eight, in the Phils’ 2-0 lost. He will be trying to build on that start, hoping to regain his 2007-08 form. The snakes will counter with Kris Benson (0-1, 3.00), who is coming off a loss to the Padres on April 17, as he went six innings, giving up two earned runs on six hits and four walks, in the D-backs’ 5-0 lost. He will be trying to keep the D-backs in the game against the Phils’ potent offense. The Phils will be trying to continue their so far successful road trip, hoping that Hamels will continue the Phils’ starting pitching current unearned runs streak. Roy Halladay goes to 4-0 as he throws a complete game five hitter as the Phils put down the Braves, 2-0. Roy Halladay goes to 4-0 as he throws a five-hit complete game shutout against the Braves, 2-0. The win leaves the Phils all alone in first place in the NL East. The Phils took a 1-0 lead in the second as, with a runner on second, and with no body out, Raul Ibanez hits a RBI ground-rule double, scoring Jayson Werth, who had earlier doubled. The Phils increased their lead to 2-0 in the sixth as, with no one out, Werth hits an RBI double, scoring Ryan Howard, who had earlier singled, while Werth would move up to third on the throw to the plate. In the bottom of the seventh, the Braves tried to get back into the game as they loaded the bases via two straight singles to Chipper Jones and Brian McCann, which sent Jones up to second base, and a walk to Jason Heyward, moving both Jones and McCann up a base, and with one man out, but Halladay got out of the inning by getting Yunel Escobar to hit into a 4-6-3 double play, after a great stop by second baseman Chase Utley, wiping out Heyward at second base. That would be it for the Braves as Halladay ended the game in the ninth by getting Troy Glaus to ground out, 5-3, to end the game. Roy Halladay took the win as he pitches a complete game shut out, giving up just five hits and a walk, while striking out seven. His record is now 4-0 with a reduced ERA of 0.82. Tim Hudson took the lost as he goes six innings, giving up two runs on six hits, two walks and a hit batsman, as he strikes out five. His record is now 1-1 with a 2.89 ERA. Jonny Venters pitches two scoreless innings, as he strikes out two. Takashi Saito pitches a scoreless inning, as he gives up one hit, while he strikes out a batter. The Phils had seven hits in the game, with Jayson Werth leading the team with two hits, both doubles, as he knocks in a run. Chase Utley, Ryan Howard, Raul Ibanez, Juan Castro and Carlos Ruiz had the other five Phils’ hits. Ibanez, Utley and Ruiz’s hits were all doubles, with Ibanez’s being a ground-rule double, as he knocks in the other Phil run. The Phils (9-5, 1st) will conclude their three-games series with the Braves (8-6, 2nd) tonight with a night game. The game will be played at Turner Field and will begin at 7:10 pm Eastern. The Phils will send to the mound Jamie Moyer (1-1, 7.50), who is coming off a lost against the Marlins on April 17, as he pitched six innings, giving up five runs on six hits and one walk, while he struck out seven, in the Phils’ 5-1 lost. He will be trying to improve on the last five innings of the previous game. The Braves will counter with Derek Lowe (3-0, 4.67), who is coming off a win against the Rockies on April 16, as he goes five and a third inning, as he gave up three runs on seven hits and two walks, while striking out five. He will be trying to continue on his previous season dominance of the Phils. The Phils will be trying to leave Atlanta with a series win, before heading West to Phoenix to meet the ‘backs. Playing in the Arizona desert, finale. The Phillies (20-15) will be playing the final game of their four games series with the Arizona Diamondbacks (22-12) this afternoon at 3:40 pm Eastern (12:40 pm Pacific) at Chase Field in Phoenix, Arizona. Their starter will be Brett Myers (2-2, 4.70), who is coming off of his May 3 outing against the San Francisco Giants where he seems to have regain the speed of his fastball as he goes seven innings, giving up only two earned runs on six hits as he received a no-decision in the Phils’ 3-2, 10 innings lost. His opponent will be Brandon Webb (7-0, 2.49), presently one of the best pitchers in the National League. His last outing was a victory as he goes six innings, giving up four earned runs on five hits in the D-backs’ 10-4 win over the Mets on May 3. He’ll be looking to make his season record 8-0. After the game, the Phils will continue their road trip as they go on the San Francisco to meet the Giants for a three games weekend series. They will then come back home to start a six games home stand on Tuesday, with three games against the Atlanta Braves, and then a three games weekend Interleague series against the Toronto Blue Jays. In San Francisco, Jimmy Rollins will be rejoining the club, after finishing up his rehab assignment. The Phillies are hoping to at least split the series with the Diamondbacks, if not leave Arizona with another series win. They also hope to either remain tied for first with the Florida Marlins or to be leading the National League East all by themselves, while hoping to increase their lead over the Braves and/or the Mets. Of the later two teams, the Mets have the day off.